This week’s Top Ten Tuesday had me make a list of the top ten settings I’d like to see more of in books. Settings in books are definitely important; after all, a lot of us travel by reading! 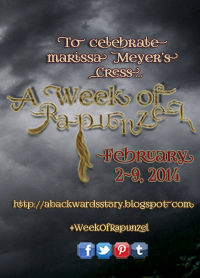 Speaking of fairy tales, next month is Fairy Tale February here on Alice in Readerland! 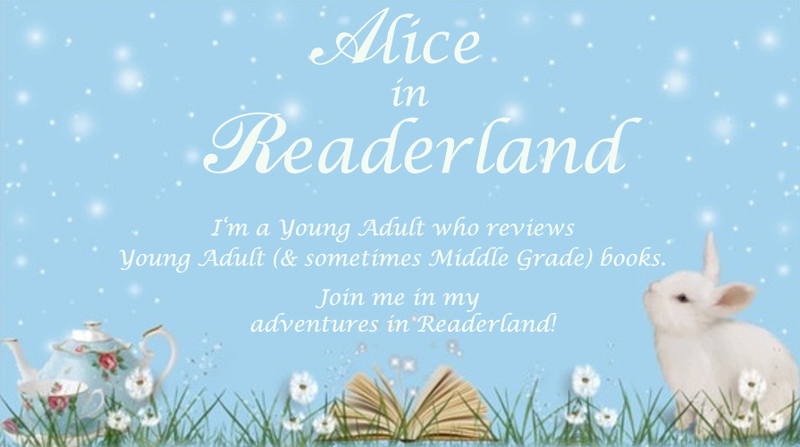 All month long I’ll be reading and reviewing fairy tales/fairy tale retellings, and participating in features such as The Book Addict’s Guide’s Deja Vu Review, The Cheap Reader’s Project: Fairy Tale, and more! Home of the late, great, Leverage! Anyone else reading this a Leverage fan? I have always wanted to go on a safari, or at least visit a safari park! I’d love to read more books set in the Aloha State! It could be fun, it could be creepy, but either way, I think a carnival would be an interesting setting to read about. Okay, so it’s more several settings than one, but I couldn’t resist adding this one; I’m fascinated by road trips! I live near San Francisco, so I’m biased. Yes, I’m choosing time travel in general over picking a certain historical date, but I really would love to read more time travel novels! I’ve always thought Australia would be fun to visit! I’d love to see more books set in Ireland! What settings would you like to see in books? Glad to see Ireland on another list! :) Thanks for stopping by & commenting! Love all of these, but time travel made my list as well. I get that time travel gets really complicated and heady, but the possibilities are endless. Also, love fairy tale land. Love to see more in Ireland as well! (Even though I’m actually reading an adult literary fiction novel set in Ireland right now and I am less than a fan, so maybe not for awhile). I just finished an adult fiction book set in Ireland, called The Kilternan Legacy by Ann McCaffrey and really enjoyed it. I’d definitely love to see fairy tale land and time travel! :) Thanks for stopping by & commenting! YES, all of this sounds AMAZING esp fairy tale land! A carnival would be awesome too. I’d definitely love to see those 2! :) Thanks for stopping by & commenting! Thanks, I’d love to see a story set at a carnival! :) Thanks for stopping by & commenting! I also had road trip, Ireland, and Australia. I thought about time travel but it didn’t seem to fit in my head as a setting so I left it out. Definitely agree though. Have you read the Ruby Red series (Ruby Red, Sapphire Blue) by Kerstin Geir. If not check them out, they are incredible. I’ve always thought Portland was pretty, so I agree with you on that one. No I haven’t read that series; it’s nice to see we had some common settings on our lists! :) Thanks for stopping by & commenting! I love fairy tale retellings, I’m so excited for next month so I can start my Fairy Tale February! :) Thanks for stopping by & commenting! Ooh I love the idea of a creepy carnival! And yes, we definitely need more good road trip books. I adore fairy tale retellings, especially Cinder by Marissa Meyer. I recently finished reading Cinder & am excited to review it for my Fairy Tale February! :) Thanks for stopping by & commenting! Super Cute!!! I almost picked safari and carnival!!! Thank you!!! 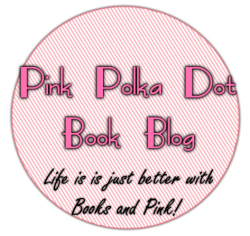 :) I’d love to see a book set in a safari or carnival! Ooooh, good choices!! Road trips and carnivals are awesome ideas!! Thanks, I’d love to see those as more book settings! :) Thanks for stopping by & commenting! Ooh! Carnivals would be cool! Fun AND creepy! Time travel is a really interesting pick! There are so many interesting time settings in the past that have made such a great historical impact. So while there’s no time machine, the books are are a great means to visit these times. I also have road trip and Australia on my list and you just gave me an idea about safari. I’d love to read a book about it too! I love how we can travel through books! :) Thanks for stopping by & commenting! Good list, I love stories set in fairytale lands and I love time travel stories as well. I like the idea of stories that could be told at a carnivals. Glad you liked them! I would definitely read books with those settings! :) Thanks for stopping by & commenting! A circus would be a great setting to! :) Thanks for stopping by & commenting! I would definitely be excited to see more of those settings in books! :) Thanks for stopping by & commenting! I love books set in Ireland too! And I think carnival books would be awesome. Oh – I’m a huge Leverage fan. I’ve only just finished season 1 (I’m a little late to the party) but I love it a lot. I love Leverage; hope you enjoy the rest of the season I really enjoyed watching all the characters grow, as well. :) Thanks for stopping by & commenting! Yes! More fairytale settings! :-) These are great choices. I love the idea of a book set on a safari. I would definitely enjoy reading more books set in those places! :) Thanks for stopping by & commenting! I love Leverage! I think I fell behind a bit, but still love it! No problem, I am excited for It! I love Leverage too, I’ve recently started to re- watch some of the earlier episodes. :) Thanks for stopping by & commenting! I’m actually going to recommend not a book but a movie. If you love fairy tale lands, you should most definitely see the miniseries The Tenth Kingdom. It’s great! 1 of my friends was just talking about that as well, so I will have to add it to my to-watch list now! :) Thanks for stopping by & commenting! Thanks! :) I would love to see more books set at a carnival or circus! I like the safari and carnival ideas! I’ve seen Ireland and road trip on other posts – like those, too! I would love to see more books with those settings! :) Thanks for stopping by & commenting! Oww Carnivals…. I love the idea of traveling groups and things happening. Thanks for the reminder. dangit, guess it’s time to overahaul my roadtrip book idea and actually start writing it. :D Roadtrips popped up quite a bit on the lists I read this week! Definitely! :) Thanks for stopping by & commenting! Great list, and I love the Pushing Daisies gif! I’m also a Leverage fan, and I’m so sad it’s over. I am so sad Leverage is over too (it was my favorite show), but I definitely cheered when I saw that they won a People’s Choice Award! :) Thanks for stopping by & commenting! Yes, they made me think of Scooby Doo too! :) Thanks for stopping by & commenting! Great list! Safari would work for me, and I always love a good time travel story! I think the next book coming out by Stephen King is set in a carnival… it sounds good and creepy. I love that you include pictures! I love Ireland. That’s a great way to combine your first and last setting, because someone could go from there to faery. Also, road trip stories are always my favorite too. Thank you! :) I would definitely love to read more books with those settings! I LOVE carnival settings! There’s something oddly romantic and creepy at the same time about carnivals. And definitely Portland and that area up there. I’ve loved everything that’s been set up that way! Great list; would love to read books set in several of these settings! You just described the carnival setting perfectly, & I would love to see more books set there! :) Thanks for stopping by & commenting! Ireland and SF are amazing. I’d love to read more about this. I’d love to see more books set there! :) Thanks for stopping by & commenting! I love reading books set in foreign countries! :) Thanks for stopping by & commenting! Which fairy tale did you pick? I’m reading a bunch of retellings in general for my Fairy Tale February, but for Project: Fairy Tale I chose Puss in Boots. It’s been hard finding books, though, as most retellings I see are either adult books or picture books. Same here! I picked an obscure one as well! What other retellings are you reviewing? Totally looking forward to seeing your picks! So far the definite ones I’ve got lined up are Cinder, Beauty, Once Upon a Toad, & the Whatever After series, (as well as some fractured fairy tales) but I’m still deciding on other retellings! Right now I’m looking up Robin Hood retellings, it’s one of my favorite tales and I adored Scarlet. Great list! So many things I didn’t even think of that I’d love to add to my list now, lol. I have an irrational fear of Australia, but I wonder if I read more books set in Australia if I’d get over my fear? You should try it! :) Thanks for stopping by & commenting! All of these! So gorgeous. Ireland would be amazing, same as San Francisco. Oh, and Hawaii! Someone should write a YA book from a native point of view instead of a tourist. I agree, a native’s point of view would be interesting! :) Thanks for stopping by & commenting! Yes yes yes to Ireland, carnivals and road trips! I have read a book set in South Africa and I think the guy ran a wildlife sanctuary? Or something like that. So that’s sort of like safari. Awesome list! I love your list! Those are some great setting! IRELAND!!! I completely forgot to put Ireland on my list!!!! A friend of mine went to Ireland last summer and took the most gorgeous photos, I’d love to go there myself! :) Thanks for stopping by & commenting! *throws both hands in the air* LEVERAGE!!! Did you see the series finale? My goodness. Yes, twice! I thought it was amazing! :) Thanks for stopping by & commenting! Same here! :) Thanks for stopping by & commenting! Great list. I didn’t think of a safari setting, that would be awesome. I’d love to read more books that take place on safari! :) Thanks for stopping by & commenting! What a great list of potential settings. I would love to read something with a carnival setting. I could see a cozy mystery set there. Definitely! A cozy mystery set tar a carnival would be great! :) Thanks for stopping by & commenting! I’d love to visit Portland, and Leverage is my favorite TV show! :) Thanks for stopping by & commenting! Great list! I love road trip books…you get to visit more than just one place, and that’s always fun. A carnival would be fun too! And I never really thought about it before today and seeing it on people’s lists, but there aren’t that many books set in Australia or Hawaii, which is weird since they’re both popular tourist destinations. I recently heard of a book set in Australia called Love & Other Perishable Items, but I’ve yet to come across one set in Hawaii (even though I’m sure there are books set there)! :) Thanks for stopping by & commenting! Plane and train trips are also good settings! :) Thanks for stopping by & commenting! I love the idea of more books set on a safari. I think that would be fun! :) Thanks for stopping by & commenting! Oh my gosh. Ireland. Yes. PLEASE. I know, right?! :) Thanks for stopping by & commenting! Totally agree on the time travel! I absolutely love visiting periods of time that i’ll never get to see. And the only Ireland setting I’ve read is Artemis Fowl which I loved so I’d definitely love to see more of:) Great list! Exactly, I love how we can visit the different time periods through books! :) Thanks for stopping by & commenting! No, I hadn’t heard of that anthology! I’ll have to look up those books set in Ireland! :) Thanks for stopping by & commenting! I feel so honored, you quoted me! Thanks so much :) But I absolutely agree with your choices. Australia would be fantastic since I don’t remember any books I’ve read with it being the setting. The circus is one that I would love to see more of as would others. Great list, I can’t even say how much I agree with it! I loved your post, I had to quote it! :) Thanks for stopping by & commenting! I’m definitely feeling a creepy carnival book. I would so read that. Great list! OOOH Safari would be so fun! I think so too! :) Thanks for stopping by & commenting! As a proud Aussie, Australia is a great place to visit – both in book and in person. and I love fairytales. I love to read old, new, traditional, twisted – all of them. I think living in a castle would be awesome. I’d love to visit Australia, and I am excited for Fairy Tale February next month. I think living in a castle would be awesome too! :) Thanks for stopping by & commenting! I didn’t think about Hawaii but I would love to read a book set there. And maybe take a trip there while I’m at it…. Me too! ;) Thanks for stopping by & commenting! I’ll have to look up that book! :) Thank you so much, I hope you enjoy Fairy Tale February!